SXSW Film wants your expertise. We invite you to weigh-in on the film proposals we have received for the 2018 SXSW season during PanelPicker Community Voting from August 7-25. Browse submitted ideas, leave comments, and vote on what programming you would like to see at the 2018 SXSW Conference. Be sure to also take a look at our film-related Convergence tracks such as VR/AR , Experiential Storytelling, and News & Journalism. March 10-13. 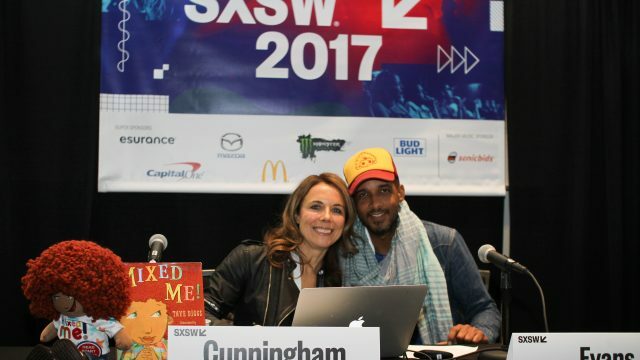 Inspiration from thought leaders, experts, and innovators that will last beyond your time at SXSW, including conversations with high-profile speakers from the entertainment, film, and TV industries. March 9-13. Learn about the inner workings of the film and TV industry. Sessions will focus on the business side of things, with topics like distribution, financing, and the ever changing nature of the industry. March 10-13. Learn everything you need to know about developing and crafting your project, from screenwriting and working with your subject to post-production and beyond. To participate in the voting process, visit panelpicker.sxsw.com/vote and login or create an account. If you created a SXSW account in 2013 or later, you will be able to use the same login and password. Once you are logged in to PanelPicker, you can begin the voting process. Filter through proposals by session format, programming track, and level. You can also search for by title, description, tags, and speakers in the search field. Each voter can vote once per proposal – selecting “arrow up” for yes or “arrow down” for no. You can also leave a constructive comment about the proposals you vote on. Have a question for the organizer? This is also a great place to post all of your questions. During Community Voting, it’s also important for anyone who submitted a proposal to rally online support for your idea and encourage voting through your personal blog or social media channels. We have created handy “Vote For My PanelPicker Idea” graphics for you to use for social media sharing on Facebook, Twitter, and Instagram. Each year, SXSW PanelPicker helps shape the majority of the SXSW Conference programming. Community Voting comprises 30% of the SXSW Conference programming decision, plus input of the SXSW Staff (30%) and Advisory Board (40%) helps ensure that less well-known voices have as much of a chance of being selected to speak at SXSW as individuals with large online followings. Together these percentages help determine the final content lineup. For more information about the Community Voting process, read the PanelPicker FAQ and visit the SXSW PanelPicker page.